Writing a creative brief that gets the ball rolling on a successful project involves initially asking questions. Depending on the project you’re working on and the client you’re working for, there could be a lot that need answers before the final appearance of your brief starts to take shape. Start by answering these questions, and you’ll have a creative brief with the power to drive a complex through to its successful completion. What’s the problem you’re trying to solve? Just because something’s labelled as creative doesn’t mean it doesn’t involve problem solving. Your project is designed to solve something. A website isn’t getting enough leads to generate ROI. A company’s brand is out of date and they need to modernise or risk losing their place in the market. The first thing you need to think about in your brief is: what problem is it that I’m trying to solve? There’s a reason why companies as successful as HubSpot think in this way. What audience should your creative be capturing? There are lots of ways for you to find this out, depending on the entity you’re working with. With different marketing disciplines increasingly merging, and agencies turning full-service, for many reading this blog your colleagues will have access to tools that could give you the edge in creating a brief that gets your client thinking in a completely different way. Using tools like keyword research, usually the preserve of the SEOs in your team, or audience profiles from the inbound experts, are excellent ways of understanding the behaviour of the audience you’re trying to reach. You won’t necessarily need to present this data in your brief, but knowing about it will help you with the writing process, as well as provide you excellent material should you go on to meet the client face-to-face. Knowing what your client does and the market it operates in is a given. But what kind of material will your client respond to? Do they want you bring them solutions without any fuss, or would they respond to more detail? Having an idea about this will help you write something your client responds to positively from day one. This is something that people often miss, or at least don’t pay enough attention to. What concrete results do you want to achieve? What are your KPIs, and how do you measure them? (E.g. website traffic, number of leads, revenue, etc.) Many creative agencies are excellent with with and even provide advice on it in free creative brief templates, but it’s conspicuous how many briefs fail to mention anything that can be accurately measured, as well as the tools you might use to mention them. A terrifying word for many creative agencies: budget. If it’s appropriate in terms of the current relationship you have with your client, you need to include some kind of suggestion about budget. It’s no use proposing something that’s not feasible, and if you’re seen to be trying to push the client towards something they’re not comfortable with, you can expect to quickly lose their confidence. Of all the points we’ve made above, the inclusion of measurable KPIs and the ways in which you would measure them is the one we’ve seen impress clients most. If you’re working with a business owner, they will respond extremely well to projections and the promise of seeing tangible numbers, and the promises you makes at this stage becoming real. Too many agencies don’t set these goals and it becomes unclear what it is they’re offering: with your powerful creative brief, you can make it clear you’re offering value from the very beginning of each project. It’s no secret that the efficiency of online shopping is hitting bricks-and-mortar retail outlets hard. Last year, nearly 6,000 stores closed on the UK high streets. While 11 new shops opened every day, 16 were closing down at the same time. Sometimes stores are competing with their own online business, and it works out more cost-effective to shut up shop and move everything online. How can retailers expect their stores to survive against an online shopping experience which allows customers to find the same product at the best price, in less time and often with next day delivery, all without leaving the comfort of their home? Retailers need to capitalise on the one thing that sets them apart from their online counterparts: the in-person customer experience. Even if stores can’t afford to compete on price, they shouldn’t underestimate the value of dazzling your customers with great service, presentation, atmosphere and more. What Makes A Shopping Experience Great? If you asked most people what constitutes a great shopping experience, their first - if not only - answer would be customer service. Having staff that are trained with the tools they need to boost sales and keep your clientele coming back for more is absolutely essential and the most effective way of growing your business. Superior product knowledge that allows retail staff to suggest, locate and describe what they’re trying to sell at the drop of a hat creates a more seamless and personable shopping experience for the customer than a nervous customer service advisor approaching them and asking if they need any help, which they probably don’t realise they do. However, there’s a lot more that goes into an outstanding shopping experience, particularly for customers who prefer less interaction. A lot of people want to go in a store, find what they need as quickly as possible and move on with their day. These are largely the customers who are taking their business online, so they can get what they’re after at the click of a button. While you may not be able to fully discourage them from their digital ways, improving your store’s layout and making products easy to find will undoubtedly encourage your customers to keep shopping in store with you. Good lighting, clear signposting and well-presented displays are crucial. Encouraging a steady flow of customers through the front door is about offering an experience they can’t get anywhere else. This doesn’t have to be anything extravagant, and trying to do too much could actually impede growth by throwing up a roadblock to completing the sale. But your store unquestionably has something unique about it, otherwise it wouldn’t exist. Figuring out your unique selling point and integrating it seamlessly into the customer shopping experience is a twofold consideration. Obviously you need to separate yourself from your immediate competition, but you also need to offer something that your customer can’t get online - whether that’s from your business’ own online counterpart or a competitor. Given the choice between two identical experiences, customers will choose the easiest path, which is online. Delivering an in-store shopping experience that leads to business growth, in an age where customers can almost definitely get the same product at a better price, without ever setting foot in a bricks-and-mortar outlet is no small feat. However, for customers, shopping is about more than just purchasing a product that you need. It is one of the most common social activities, it’s worth over £300 billion to the UK economy and is an important source of human interaction for many people. The provision of a shopping experience that caters to this need for engagement, as well as essential goods, is an area where online retailers can’t compete. ETZ is delighted to welcome back its founder, Nick Woodward, to the full time helm, to spearhead exciting tech developments for recruitment agencies. The company behind ResourceSpac, Montala, has received Royal Warrant of Appointment to Her Majesty the Queen - one of the few software providers to be awarded the honour. 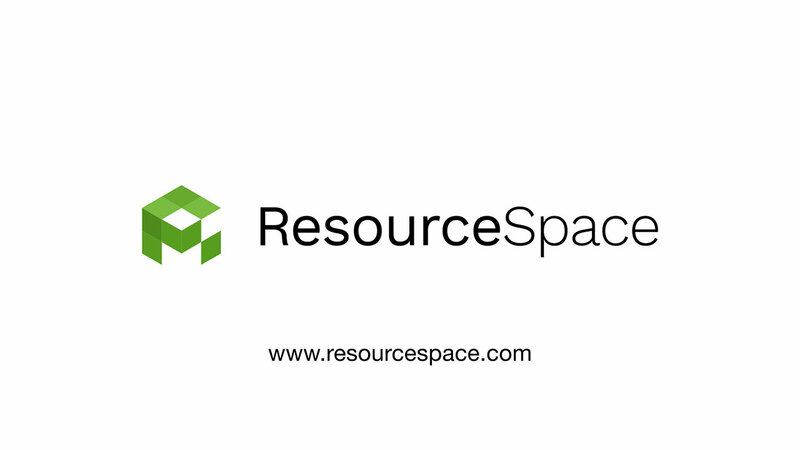 ResourceSpace is the web-based Digital Asset Management (DAM) software of choice for leading commercial, academic and not for profit organisations, offering a convenient, productive and easy to use solution for organising and sharing files. ResourceSpace is available as open source software, meaning that there are no license fees to pay and no vendor lock-ins.